XS ATV knurl wheel studs M12x1.25 and 3/8-24. 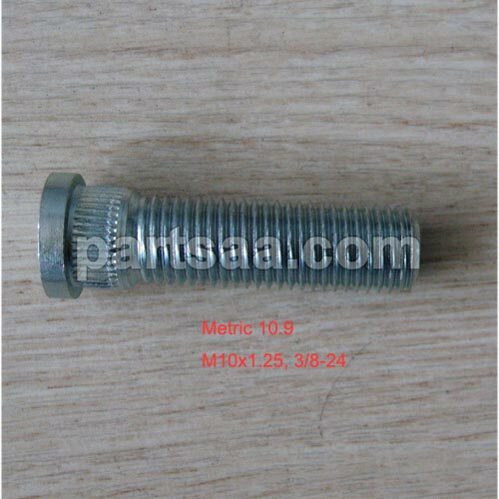 Male press mounted knurled studs, popular thread size: M12x1.5, M12x1.25, 1/2x20, other sizes: M14x1.5, 7/16, M12x1.75, 9/16. Made from 40Cr or 40CrMo, by automatic cold extrusion machine, Grade 10.9. with good concentric, white or golden plated. Looking for ideal M10 Knurled Stud Manufacturer & supplier ? We have a wide selection at great prices to help you get creative. 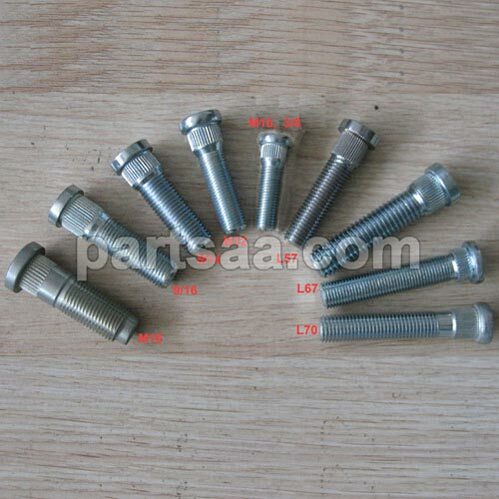 All the 3/8 Knurled Studs for ATV Adapter are quality guaranteed. We are China Origin Factory of Cold Forged with Good Concentric Studs. If you have any question, please feel free to contact us.